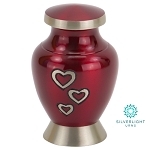 How Can I See Wholesale Pricing on Urns and Jewelry? Our wholesale prices are visible on the website to registered funeral directors and funeral home owners. 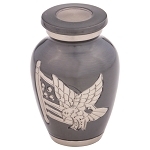 Our wholesale pricing on cremation urns, cremation jewelry, flag cases, and other memorial products is the lowest in the funeral supply industry. How Can I Open a Wholesale or Funeral Director Account? You can order urns, cremation jewelry, flag cases, and other memorial products online at any time. Many of our products are available to you with added personalization and engraving at the lowest cost anywhere, and we engrave and ship on the same day if the order is submitted before 3PM Eastern Time. Simply contact us via phone, email, fax, or our online catalog request form to receive a beautiful paper catalog. We print our catalogs without retail pricing so you may set prices at whatever markup is appropriate. We do not require that our retailers sell at a mandated minimum price. Our catalogs are appropriate to show to your families. Will You Sell to Online Retailers? 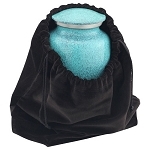 We're sorry, but we do not sell to online retailers of cremation urns. We sell only to funeral homes, funeral directors, crematoriums, or other traditional funeral products retail outlets. We accept all major credit cards, checks, money orders, or cash. We offer established funeral homes the opportunity to be invoiced for purchases on Net 15 terms. We ship ground delivery for free on all purchases. Two-day air is available for only $15.00 per order and your next-day air shipment is available for only $30.00. These are the lowest rates available anywhere. We are committed to seeing to it that our customers are completely satisfied with their purchases. We offer a 100% satisfaction guarantee. We're happy to accept any returned items without any restocking fee. The only exception are products that have been engraved, personalized or used to store cremains. Do You Offer Special Pricing On Items? Be sure to check our monthly emails for more specials.